After a 5k walk to increase breast cancer awareness and raise money for research, Marcie and I earned ourselves the nicknames of Wheels and The Pusher. A few weeks prior, Marcie broke her patella, but was determined to follow through on her commitment to participate in the walk. Of course that meant I was also going to walk, and push. It was a great time, with great friends, for a great cause. 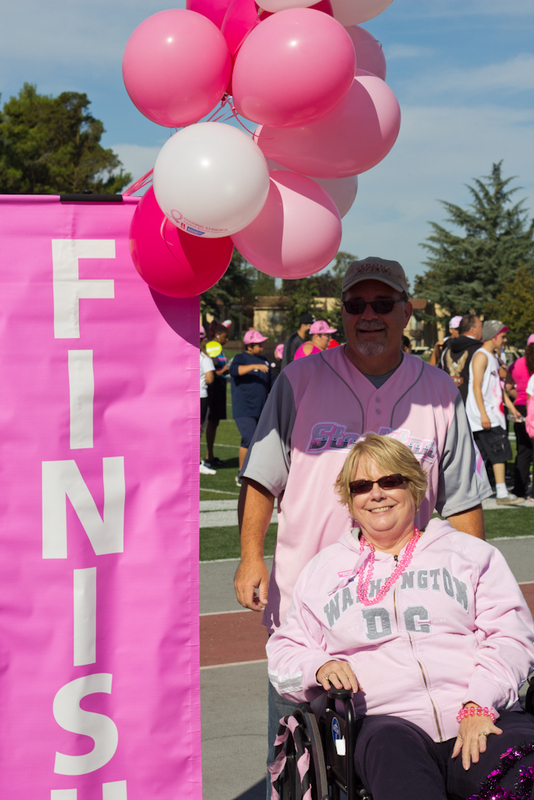 This walk raised money for the American Cancer Society’s program Making Strides Against Breast Cancer. Find out more about breast cancer by visiting their Web site. This photo was taken by our good friend and cancer survivor Joni Anderson.